Bikes are often the epitome of cool, trendy and young. The freedom that you experience, the thrill of the ride, the sense of achievement is often inexplicable. But what is perhaps more realistic is making sure that you have the right bike to experience that joy and thrill. 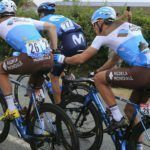 Remember the performance of your bike is often the core point here. 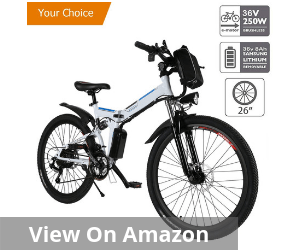 So, the first and foremost step is to look for the best electric bike under $1000 to suit your budget. 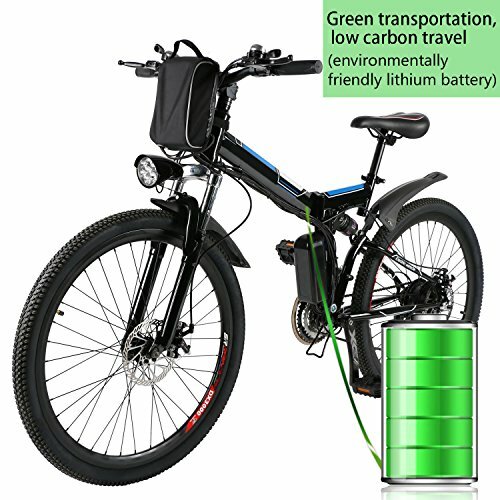 Looking for a good quality electric bike can be difficult, but searching one below $1000 can be even more difficult. Though the marketplace is flooded with options, looking for that perfect model which also fits in your budget below $1000 involves taking into consideration many factors. The best electric bike under $1000 is invariably a combination of some great features and equally promising performance without tipping the budget. 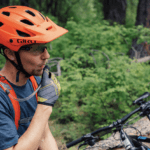 A comprehensive guide on what construes a great bike is most important. That will help you focus on the most important aspects and understand how to choose from available alternatives. In many ways, it is also appropriately prioritizing necessities over features that you can give a miss. We decided to help you decide on the best electric bike under $1000 with this ready buyer’s guide. We have shortlisted some of the best options and also the parameters on which we based our decision. The idea is to offer you a real-time understanding of the best bargains in town and also understand how you should rate your parameters for the best ones. 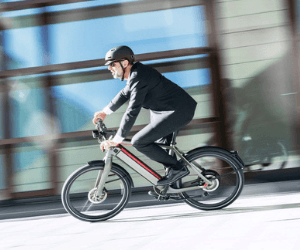 We have taken into consideration a whole range of factors that go into the making of a great electric bike and what combines efficiency appropriately with cost and performance in a comprehensive way. This fat, smooth accurate bike equipped with Shimano Gear is undeniably one of the best electric bikes under $1000. 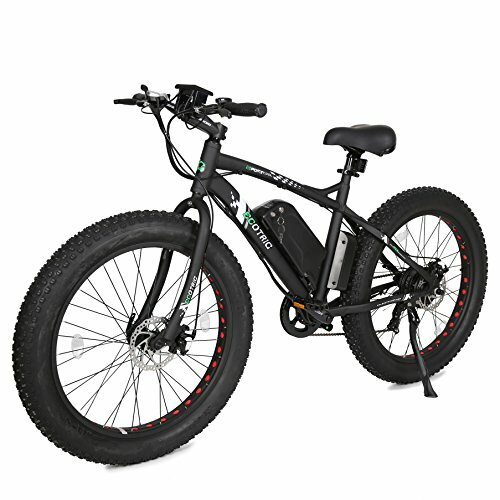 The ECOTRIC Fat tire bike comes with a 36V Lithium battery. You also get a lithium battery charger along with the 500W rear hub motor. The overall feel of the bike is safe, fast, balanced and strong driving power. This is an ergonomically designed almost pre-assembled bike. Almost 90% of this bike is pre-assembled. Particular attention is given to every single detail. The handlebar, the seat and the slip-resistant tire of this bike are all designed to grant both power and comfort to the rider. The tire also deserves special mention. These are durable all-weather tires that offer great traction on practically any type of road condition. The anti-slip property ensures that the ride quality is great even in a severely damp condition. The maximum speed for the bike is close to 23 mph. This is more or less at par with some of the best options available in the market. The brake comes with a 7-speed system and provides both security and stability to your trip. 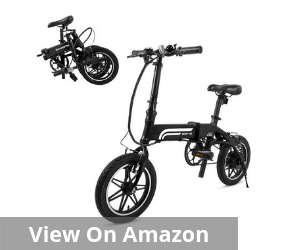 The pedal assist and the walk-assist modes add to its versatility, and the battery lock and power functions boost user convenience. 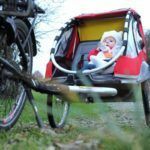 Whether you take this bike for an outing, hiking or just simply around the city limits, you can comfortably do so in this bike. This is a functional and multipurpose e-bike that gives you assured quality and efficiency every time. Click here to see the best price. When you are looking for the best electric bike under $1000, this 100% aluminum frame bike exemplifies superior power, better shock absorption and improved ride quality. It has a large capacity 36V lithium battery. The best part is this is removable and can last anywhere between 25-50 km. The fast charging charger gives you full performance capacity in 4-6 hours and makes long-distance rides an absolute reality for you. The high-speed gear system is another interesting feature. It comes equipped with a 21-speed transmission system, and the excellent braking system guarantees you have a safe and memorable ride. You can adjust the speed as per your convenience and helps you complete your journey comfortably. 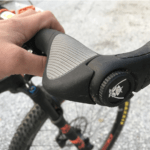 The ergonomic design of this e-bike also needs special mention. The handlebar, the adjustable seat and the adjustable seat add to the user convenience as well as their comfort. It makes them experience both speed and ease of travel in a comfortable manner. The LED headlamp also adds to the comfort and convenience factor. You don’t have to mind your hours while using this bike. The 3-speed buttons help you to keep a handle on the overall speed in a comprehensive manner. This bike has two modes, so you can exercise or enjoy long rides at convenience. Click here to see the best price. The most striking part about this electric bike is the 350W motor. Under ideal condition, this high-speed motor runs as much as 22-28 miles on a single charge. Equipped with headlights, two working modes, and well-developed power capability, this is a safe bet to ride any time during the day or night. For an even more customized experience, you can shift to the pedal assist mode and implement changes a lot easier. The smart digital panel is particularly known for bringing about an easy and convenient ride experience. 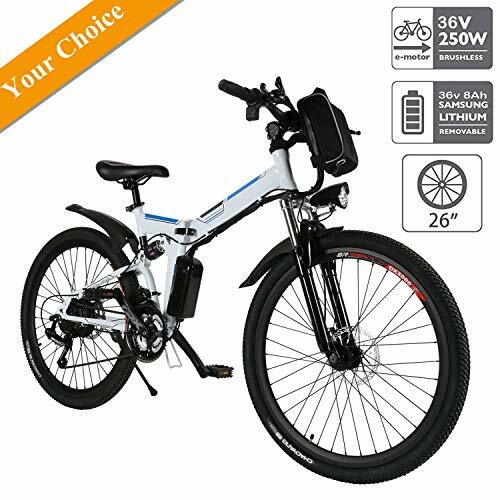 If you are looking for the best electric bike under $1000, based on rider convenience, this is one of the most dependable bets that can always promise to deliver great quality and consistency every time. This cycle is equipped with a Shimano 7 gear set-up that allows superior speed, easy control, and much better power-packed ride experience. But despite being packed with features, it is a lightweight variant that can easily be taken for long soirees. However, this is not pre-assembled completely. You will have to assemble parts of it yourself and also undertake manual tuning. 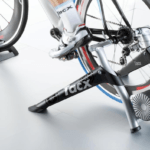 That also means you get way more flexibility about how you want the final bike to perform. The bike comes roughly 85% assembled. The ergonomic designing brilliance is another reason why this is one of the top choices for those looking for the best e-bikes in town. Click here to see the best price. 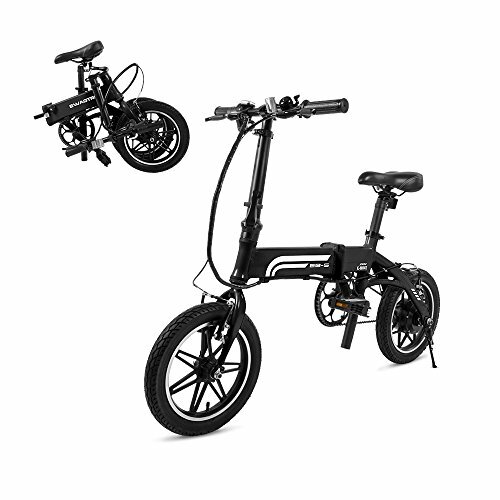 This is a foldable e-bike with double riding modes. You can use it in the assisted mode as well as regular bike mode. One of the best representations of the green traveling experience, this bike is an embodiment of comfort, convenience, and health all at once. No doubt, it features prominently in the list of the best electric bike under $1000. 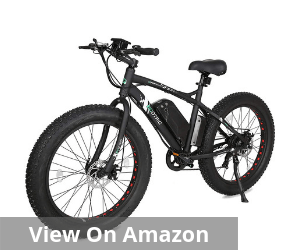 It runs on a large capacity environmentally friendly 36V Lithium battery. Equipped with a smart Lithium charger, it can be carried anywhere, used anywhere and practically charged anytime. The convenient fast charger easily cuts the full charging time significantly and adds to user convenience to a large extent. The battery is quite sturdy and supports industry average of up to 25 km once charged to capacity. However, the wheels are the biggest asset for this e-bike. The 26-inch wide wheels are made of aluminum alloy and are anti-slip in nature. This essentially means the quality of the terrain does not impact the quality of the ride in any way. However rough the roads might be, or whatever be the extent of the moisture levels, you are guaranteed to have a great ride experience. The wide wheels also absorb the shock to a large extent and help you avoid a rough time. Click here to see the best price. This is one of those rare products which do not have 1-3 stars. That means not only does this bike embody some exceptional features, it also sticks to its promise of delivering a quality product. This is what makes it one of the best-rated e-bike under $1000 dollars. 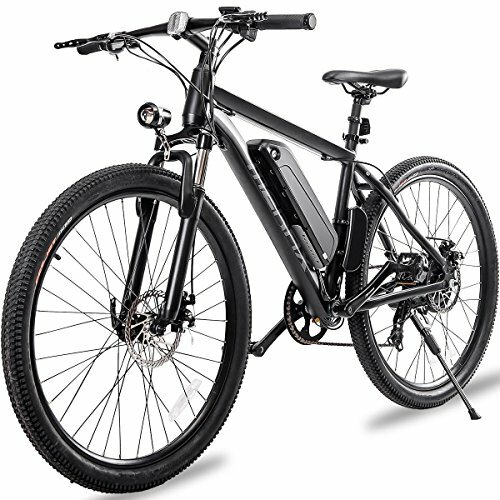 The SwagCycle EB-5 is also a top contender in the list of the best electric bike under $1000. 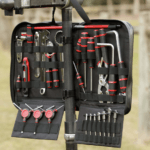 This is a pre-assembled unit that can become functional right from the moment you receive it. A rather versatile bike, it can be easily used by both adults and teenagers. Both the seat and handlebar height can be adjusted as per convenience to maximize comfort. The wheels have 14-inch wide rubber-tires that enable great pick-up, speed, and smooth ride quality. 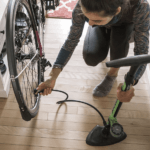 These are also easy to maintain tires that can easily transition between pedaling and power assist. The maximum speed is also at par with the industry average and the battery has the capability to last for almost 15.5 miles. One of the most striking features of this electric bike is the foldable design. 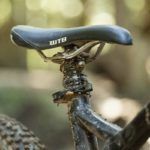 The frame is foldable and can easily accommodate heavy-built riders too, almost up to 264 pounds. The folding design is so designed that it can fold almost three times. As a result, you can carry this bike quite easily in your car, carry it across subways and transfer through small spaces without any problem. Click here to see the best price. Pedaling not possible without battery life is a major design flaw. So, if by chance the battery wears out, it will significantly impact the complete ride experience. Therefore you can understand that various factors go into the making of the best electric bike under $1000. Here is a ready guide on some of the most important considerations that you must take into consideration. 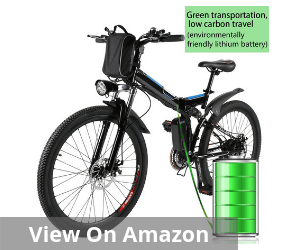 When you are looking for the best electric bike under $1000, the life of the battery is crucial. The battery will run for a definite time frame but the challenge is to fit in your ride time with the time that the battery lasts. Normally the battery life differs from brand to brand. Carefully calibrate the battery of life with respect to your overall requirement to get the best possible combination. The kind of amount that you are ready to spend for the battery is also important. Hydraulic Brake: These are similar to the ones that you have in your cars. These have a rotor on the wheel hubs. The moment you apply the brake levers, these activate the rotor and slows down the overall cycle speed. Caliper Brake: It is a single-pivot side-pull brake. Normally this is one of the most basic brake variants and the common type of brakes that you see in inexpensive bikes. 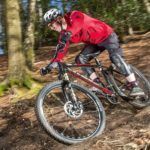 The gear is an important determinant of the bike’s efficiency. This is because it determines the speed and the overall ride quality. The gear is essentially a lever mechanism on the bike’s handlebars. The gear makes the derailleur shift and that is what catapults the chain to change into a different ring size. The ring size determines the speed. The bigger the ring size, lower the gear speed. On average, e-bikes can attain a maximum speed of close to 25kph. But it is never just the gear that determines the speed. Motor quality is also a factor. The names are based on the placement of these motors in the bike body. On average, you will see that Hub motors are quite poor at climbing steep terrains like hills, but these are far quieter. The crank motors are relatively noisy but in terms of efficiency, especially tackling steep drives. Your preference in terms of the riding terrain will impact this choice to a large extent. However, if you are going for some known brands like Yamaha or Bosch, the overall motor variant does not matter that much. 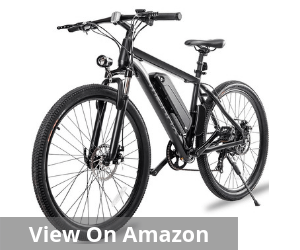 The search for the best electric bike under $1000 can be tricky if you are not sure about what you need to look for. 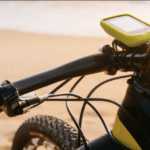 Before you set about buying a bike, you have to decide on what constitutes a great e-bike and how you can moderate your budget. Thorough research is extremely crucial. It is important to look for combinations that best compliment your requirements and the efficiency level. In case you are confused, simply refer to our list of the best electric bike under $1000 and choose the one that you like best.